If you’re a Transportation Service Provider (TSP) who is looking to transport Department of Defence (DoD) freight, you’ll want to familiarize yourself with SDDC bonds. Military Surface Deployment and Distribution Command performance bonds give financial assurance to those looking to hire TSPs for military freight distribution. In this post, we’ll explore some of the basics of this bond so you can gain a general understanding of its purpose. Who Needs an SDDC Bond? 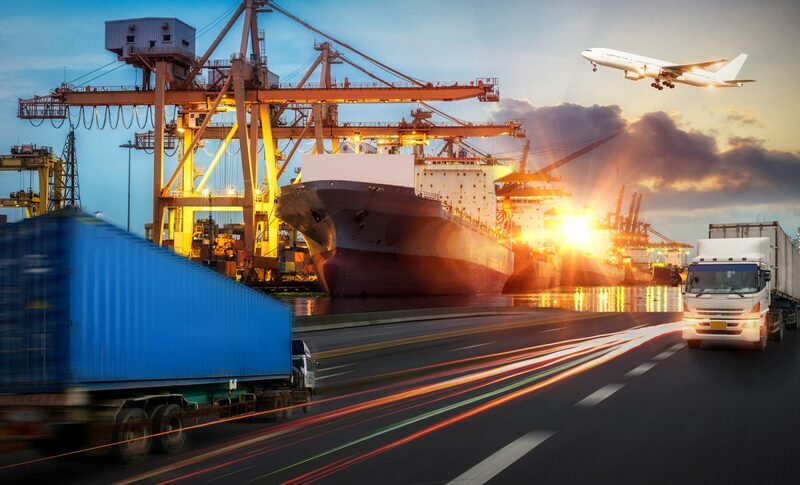 According to the DoD, Transportation Service Providers include freight carriers, freight brokers, logistic companies, and freight forwarders. In order to become a DoD freight carrier, TSPs have to register with the SDDC during “Open Season Registration”, which is a period of time specified on the SDDC website. You can check the site periodically to find out when the next Open Season Registration is. Why Do I Need an SDDC Bond? SDDC bonds give the SDDC confidence that your TSP will properly handle DoD freight. In the event that the TSP does not meet its obligations, this performance bond provides a path for recourse. Because military freight is an essential part of DoD operations, SDDC bonds serve a critical role in this mission-critical service. There are several factors that play a role in determining bond requirements, including TSP type, company size, and the states involved in the service. The typical performance bond requirements for freight brokers, forwarders, and logistics companies are $100,000 and freight carriers are required to have either a $25,000, $50,000, or $100,000 bond. Check with the SDDC to find out the particular requirements for your TSP. Your TSP will also need to secure a Standard Carrier Alpha Code, or SCAC, to complete the bonding process. Issued by the National Motor Freight Traffic Association, the SCAC is a two to four letter code that is used for identification and registration purposes. TSPs need to have a separate performance bond for each Standard Carrier Alpha Code they have. SDDC bonds used to be referred to as Military Traffic Management Command bonds, or MTMC bonds. If you’re looking at documents dating prior to 2004, you may come across this term. Since 2004, the MTMC has been renamed to the SDDC. How Much does a SDDC Bond Cost? The premium price of an SDDC surety bond is based on a number of factors, including business and personal financial elements. As such, there is no fixed rate for a SDDC bond premium. Viking Bond Service, Inc. is committed to assisting TSPs in meeting their performance bond requirements at the lowest possible premium. Across many industries, surety bonds play a crucial role in risk management. There are three parties involved with a surety bond like an SDDC bond: the principal, the obligee, and the surety. The principal is the party that needs to have a bond, which in this case in the TSP. The obligee is the entity that requires the bond, which is the SDDC in this scenario. Lastly, the surety serves as the underwriter of the bond, and steps in when a valid claim is made against the bond. Viking Bond Service, Inc. is dedicated to providing surety solutions for military TSPs that meet SDDC requirements. We have over thirty years of experience supplying surety bonds to businesses of all sizes. Our team of surety bond experts works to understand the relevant bond requirements to your situation, and provide support throughout the entire length of the bond. We recognize that time is of the essence when it comes to meeting bonding requirements, which is why we provide a quick turnaround time on SDDC bonds. As an approved underwriter for SDDC bonds, we’re proud to serve those that work with the military. The process of acquiring a SDDC bond is straightforward. You’ll have to secure your SCAC before the bond is issued. Once your bond application is filled out, a credit check will be required. Our surety bond experts are happy to walk you through the process, so you can get the best possible premium. To start the surety bond process, give us a call at 1-888-278-7389 or fill out an online application today.